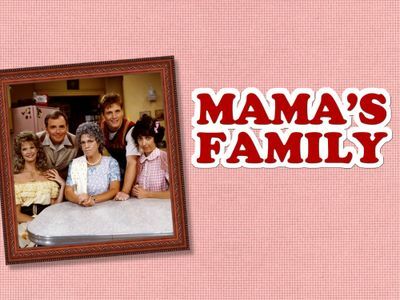 Here's where to watch every episode of Mama's Family season 6. Mouseover or tap an episode to see where to stream it. Click or tap the play icon to stream it on the best available service. Mama's Medicine Show Sep 23, 1989 After reading about how much it costs to raise a child, Vint and Naomi decide to start a business selling bottles of Mama's mother-in-law's "miracle tonic." An Affair to Forget Sep 30, 1989 Mama suspects that Vint is having an affair with his new trainee Heather, so she and Iola go to his workplace to investigate. Mr. Wrong Oct 7, 1989 Mama encourages Iola to find herself a man, but the man she finds turns out to be a domineering blowhard. Now Hear This Oct 14, 1989 The Harpers install an intercom so that Naomi will be able to monitor her baby, but Mama uses it to eavesdrop on the family, and vice versa. Tri-State's Most Wanted Oct 21, 1989 Mama is attracted to actor Leslie Lemoyne, until she sees him on "Tri-State's Most Wanted" (the local version of America's Most Wanted), and believes that he is the infamous "widow waster". Mama Fights Back Oct 28, 1989 Mama verbally attacks a radio show's unhelpful consumer advocate, and the station manager offers her his job, with Mama broadcasting from her living room. A Blast From the Past Nov 4, 1989 Mama is invited to her junior high school's 50th reunion, but she is reluctant to go because of a false rumor that was spread about her years ago that earned her the nickname "Hotpants"
Psycho Pheno-Mama Nov 11, 1989 Vinton and Naomi persuade Mama to have a psychic called "Madame Rita" give everyone readings. 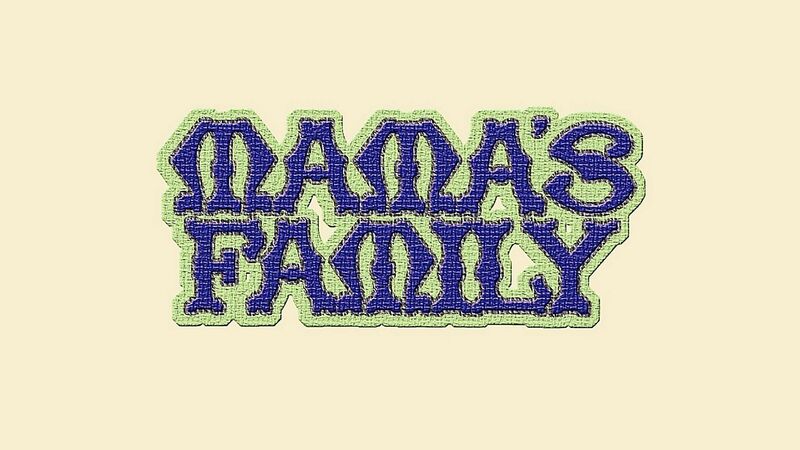 At first, Mama is surprised by the psychic's ability, but later sets out to expose the phony medium. Take My Mama, Please! Nov 18, 1989 After heckling a stand-up comedian at the Bigger Jigger, Mama accepts a challenge to do a routine of her own. Bubba's House Band Nov 25, 1989 Bubba books a band called The Bonecrushers for homecoming, and tells the family that the band will be staying with them. They turn out to be an all-female heavy metal band, and Mama must rein them in. Mama Takes Stock Dec 2, 1989 Vinton learns that he is about to lose his job because Kwik Keys is being shut down by the new owners, a corporation called Bernice. When Bubba discovers that an old stock certificate Mama owns is now ten shares of Bernice, she sets out to save Vinton's job. War of the Roses Dec 9, 1989 Mama and Iola are preparing for the Crystal Thorn flower contest, and Iola is angry to find that Mama's flowers have cross-pollinated with one of hers, producing a pink-and-white hybrid. At first neither of them wants it, but when floral expert Mayjune Beasley tells Mama that it could win the award, both Iola and Mama claim ownership. Mama Takes a Dive Dec 16, 1989 When Mama slips on a roll of pennies in the bank, the family suggests that she sue the bank. To this end, she hires a sleazy lawyer Settlement Sam and fakes serious injuries. Mama Gets Goosed Dec 23, 1989 Mama's cousin sends her a live goose for her family's Christmas dinner, and everyone except Mama is against the idea of killing and cooking the bird.. The Big Nap Jan 20, 1990 After watching detective movies on TV for a week, and hearing that Iola's mother is missing, Mama dreams that she is a film noir-style detective hired to find her client's mother. Pinup Mama Jan 27, 1990 While working on a photography project, Bubba makes a picture of a young bikini-clad woman with Mama's head, as a joke. However, this picture is accidentally added to a flyer that is handed out to get elderly men to attend a church dance. Guess Who's Going to Dinner Feb 3, 1990 Vint wins a Mother's Day dinner for two at a North African (Moroccan) restaurant called Abdul's Garden of Eating. As a result, Mama and Naomi fight over which of them Vinton should take. Look Who's Breathing Feb 10, 1990 Naomi and Vinton are taking a childbirth class. When Vint is called in to work, Mama has to go to class with Naomi instead of going to the Bingo Bonanza with Iola, so an impatient Mama creates chaos by trying to speed things along and offering her own perspective on the "miracle of birth". There Is Nothing Like the Dames Feb 17, 1990 Vinton and Naomi buy an RV and plan to move to a trailer park; however, they are unable to start the vehicle once it is in the driveway. Meanwhile, Mama is planning to host a fancy backyard luncheon for an snooty society group called the Dames. Bye, Bye Baby Feb 24, 1990 When Naomi is upset about her baby being late, Mama tries to calm her down with a false story about Carl. Mama tells Iola what really happened (both the false and true versions are seen in flashback, with Carl played by Ken Berry). Later that day, Naomi goes into labor and Mama ends up delivering her baby girl, Tiffany Thelma Harper.